Three out of four people involved in a neighborhood dispute in Nokomis were carrying guns in an April 3 shooting that left one man injured. The man who instigated the shootout — the only person injured by gunfire — was arrested this week for pointing his realistic-looking pellet gun at two other men who returned fire with real guns. 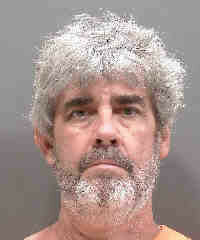 Richard DiGregorio, 56, 100 block of E. Marland Court, Nokomis, was charged with two counts of aggravated assault with a weapon without intent to kill. He was arrested April 12 and released the next day after posting bond in the amount of $50,000. Michele Brienza, 49, was arrested April 3 and faces two counts of battery for allegedly hitting one of two men who came outside when Brienza stood in front of a home yelling profanities, calling for Brienza’s daughter’s grandmother to come outside and fight her. 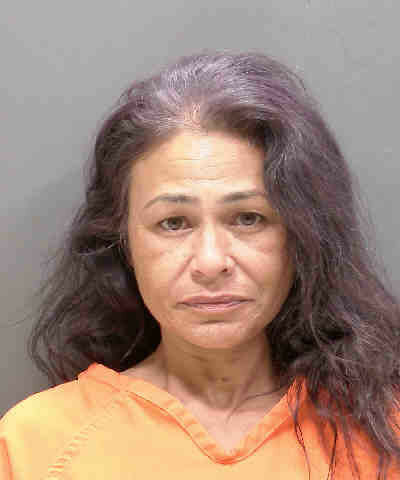 She was released the next day from the Sarasota County Jail on $1,000 bond. DiGregorio reportedly accompanied Brienza to the family dispute, then said he was walking back to get a gun after she got into a scuffle. When he returned he allegedly pointed the pellet gun at the head of one of the men, who thought it was a real gun and pulled a handgun out of his waistband. He shot once, missing DiGregorio. As DiGregorio moved away from the gunshot, he reportedly raised the pellet gun again, pointing it at the other man, who also pulled out his own handgun and fired twice, hitting DiGregorio once in the abdomen. DiGregorio was transported to Sarasota Memorial Hospital with a life threatening injury, according to the Sheriff’s Office. The two men who fired in self defense have not been charged with any crime. According to a Sarasota County Sheriff’s Office report, deputies responded to a shooting in progress at 6:06 p.m. on Wednesday, April 3, in the 100 block of East Marland Court, Nokomis. Anyone with information about this incident is encouraged to call the Criminal Investigations Section at 941-861-4900, or Crime Stoppers at 941-366-8477. We've been friends for a long time and if I'm not mistaken April 3 is his birthday.I hope he's going to be ok.